The 1965 health stamps included the year of issue for the first time since the 1934 Health issue. 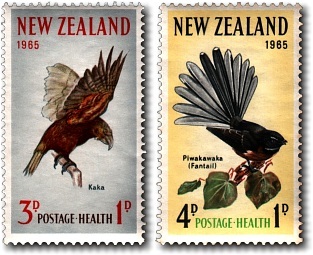 The bird theme for health stamps continued with the Kaka - a native parrot and the Fantail (Piwakawaka). The stamps were also issued in two miniature sheets each containing six stamps.